none of which are at the Hunters Point site. The NFL contributes money to new stadiums being built by individual teams. Two teams sharing a new stadium saves them some money and they are now suggesting that the San Francisco 49ers and Oakland Raiders do the same thing that the New York Giants and New York Jets have successfully done in East Rutherford, New Jersey. 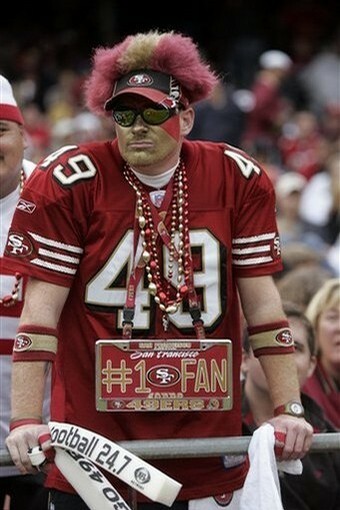 It should be noted that Santa Clara 49ers stadium proponents will say that "this will put Santa Clara on the map". But did having two teams playing in its city put East Rutherford, New Jersey on the map?? In a February 24th, 2010 San Francisco Chronicle article, Phillip Matier and Andrew Ross talked about the plans Oakland is putting together for a new NFL football stadium with the expectation that both the Raiders and the 49ers will share the stadium. 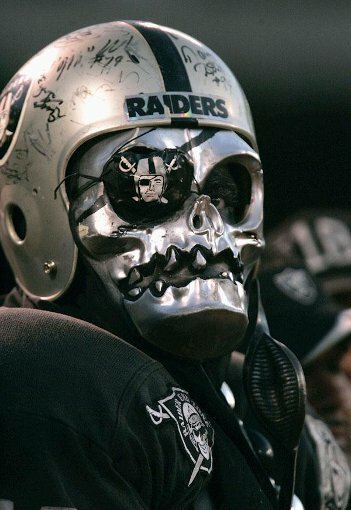 This is in line with the Stadium Five's hopes that the Raiders will share a Santa Clara NFL stadium with the 49ers. The article quotes Alameda County Supervisor Scott Haggerty who points out that "We have a better location, a better infrastructure and better access to roads and mass transit." And clearly a site with onsite parking and a BART station does trump a site with VTA light rail and no onsite parking. He also points out that Santa Clara voters should be expecting 20 home games a year for both the Raiders and the 49ers - subjecting the Santa Clarans in the residential neighborhoods around the stadium to massive traffic jams and crowd noise virtually every Sunday afternoon from August thru December - not just the ten the 49ers would play. An Oakland stadium is also more centrally located to the San Francisco Bay Area than a Santa Clara stadium in the South Bay. Both cities are talking about housing two teams because they realize that they need two teams to keep the stadium from being too much of a money drain, and that the NFL, which is supposed to help provide funds for new NFL stadiums, wants a shared stadium as was done in the New York Metropolitan area for the New York Jets and New York Giants. The NFL also wants to save money. But while the San Francisco 49ers president Jed York has expressed an interest in sharing a stadium in Oakland with the Raiders, the opposite is not true. The Oakland Raiders have not said anything about a willingness to move to Santa Clara and share a stadium with the San Francisco 49ers.